Discover “it”…Do what you love! 5 years ago I was laid off from a corporate job and I am glad about it. Well, now I am. To be honest; the transition of losing a job, fear of financial instability, and the thought of in some way failing was not easy to get through at first. Over these 5 years and counting I have realized how that lay off was the best thing that could have happened to me. That experience pushed me into doing what I love and what gives me energy. The clues were always there but for the sake of normalcy I suppressed dreams, goals, and my outrageous thoughts to be normal. Well, when normal made the choice for me it became the best time to explore those thoughts, dreams, and goals that were lying dormant while I was busy being normal. Then doors flew open for me to help children, women, non-profit organizations, and others. Connecting with individuals and forming relationships has been one of the greatest gifts in what I am privileged to do. Before this part of my journey I was more of a caterpillar versus the more purposeful and social butterfly that I have bloomed to be. I don’t hesitate to do the work to help and empower others no matter what my title or role consists. Not only does it give me energy but serving others is a beautiful expression of love and humility. I also rediscovered my passion for writing and started to living out my dream as a published author. So far this has been a journey for the books (no pun intended). I am embracing where I am now while looking forward to the next phases of my life and career. I am expecting more books, more opportunities, and most of all more lives being helped by messages that I have been chosen to give in some way. 2014 Little Girls and Their Ponytails Book Tour. 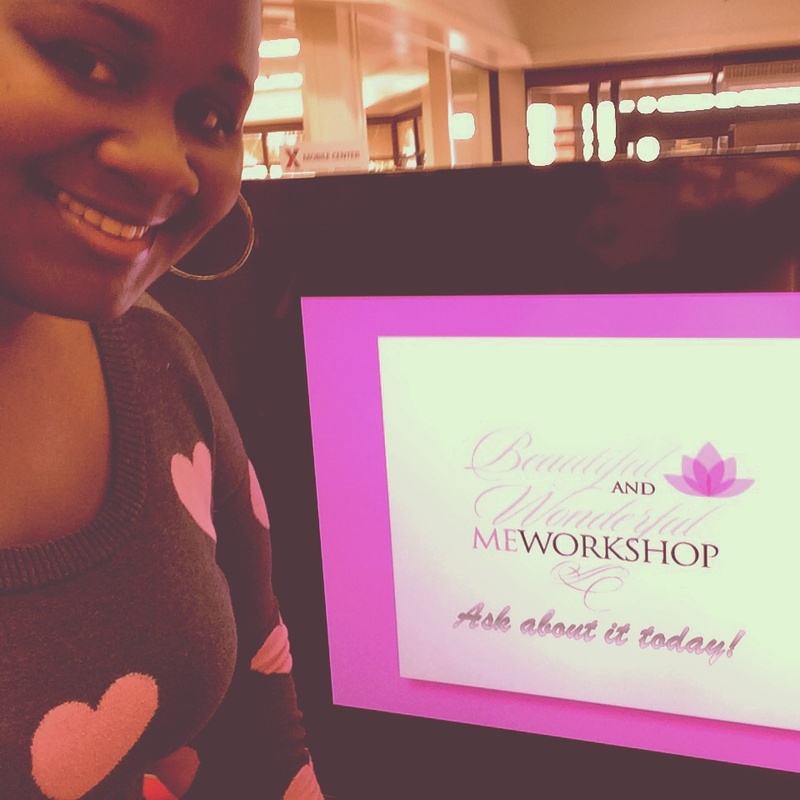 I was prepping to present the Beautiful and Wonderful Me Workshop! When I vacation on the beach I often reflect and write. Connect with God and with nature. Plus I have a blast! On my last vacation I wasn’t at my lowest or even ideal weight but I decided some time ago to love myself consistently. When I’m up, down, long hair, big hair, no hair, etc. So I did. After I saw this photo, I posted it on social media and journaled. Define your own beauty. Don’t wait to be an expected standard of beauty , weight, height, or whatever. Improvement is great but don’t wait and miss out on how beautiful you are now. 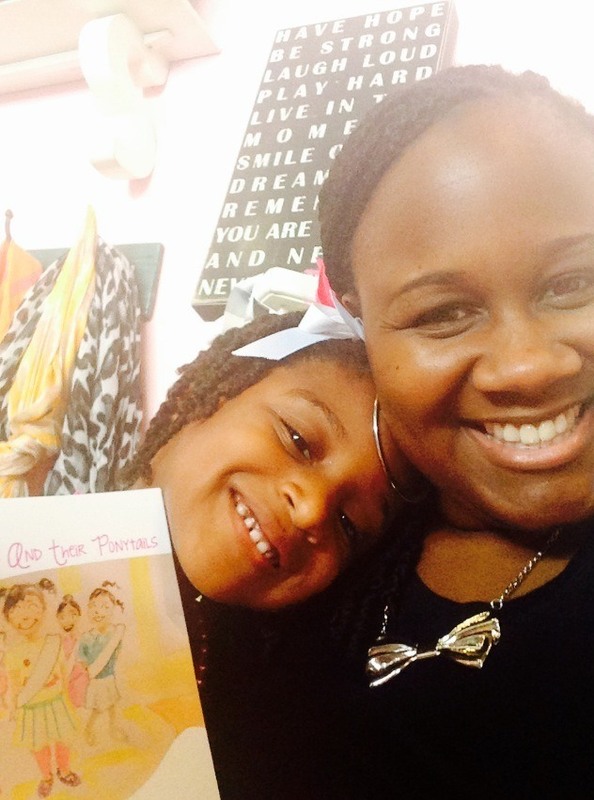 I wrote Little Girls and Their Ponytails to teach girls to love who they are. I also created the ponytails pageant and Beautiful and Wonderful Me Workshop for that same reason. Girls deserve to love who they are no matter what. Self-love is important. Girls need to know that we change. We grow, we get big, small, we have blemishes; we have up days, down days, natural days, make-up days, glamorous moments, and sweat pants hair in a ponytail or in a puff days. We have to love ourselves on EVERY one of those days. I wrote this story because I have looked in the mirror a time or two wondering what someone else would think if I wore this or changed my hair like that. I spent a bit of time with the oppression of those insecurities and I don’t want girls to spend as much time in that space. So I teach self-love but first I decided to love me on all of my days and in all of my ways. Changing, nipping, tucking, straightening, or pulling still won’t be good enough for those with a skewed perspective of beauty. So no matter what changes or does not change…I will self-love me!